After more than eight years of bizarre developments and frustrating delays, the man convicted in a horrifying Naples, Florida murder case has received a death sentence for his crimes. The Naples Daily News reported on the matter, where the defendant murdered his wife and five young children by slitting their throats. After the killings in September 2009, the man fled to his native Haiti; however, he was soon located and returned to Florida to face homicide charges. In handing down the death penalty, the Collier Circuit Judge found that such punishment is only issued in the presence of the most aggravating and least mitigating circumstances. Because the Florida death penalty has been through some interesting twists and turns recently, having been declared unconstitutional and then amended, it’s worth noting the current legal status on murder cases that have potential for a death sentence. Premeditated Murder: If someone kills another as part of a plan or scheme that was developed in advance of the crime, the offense is Premeditated Murder. Felony Murder: A person may be convicted of this crime if he or she kills another individual while engaged in another type of criminal activity, regardless of whether there was an intent to kill. Only those crimes designated by law fall into the category of Felony Murder, such as aggravated crimes, robbery, burglary, kidnapping, sexual battery, drug trafficking, and others. As a capital crime, a person convicted of First Degree Murder will be sentenced to either the death penalty OR life in prison without parole. However, because the death penalty is such a serious punishment, there are certain procedural rules which apply. A prosecuting attorney may waive the death penalty as an option under certain circumstances. Where the State elects this option, a conviction for First Degree Murder would lead to life in prison. 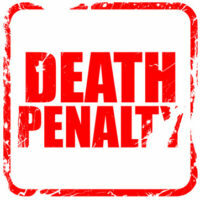 In the absence of a waiver, Florida law requires a separate hearing on the death penalty after a conviction. The only question involved in this proceeding, termed the Penalty Phase, is whether the defendant should be imprisoned for life or should receive the death penalty. There are no legal issues related to whether or not the verdict on conviction was proper. During the Penalty Phase, the judge will review the existence of aggravating and mitigating circumstances – as did the court in the recent Naples case. If there are certain mitigating facts, such as turning yourself in or trying to save the life of the victim, you may receive the lesser sentence of life in prison. If you’re facing First Degree Murder charges that could result in a sentence to death, hiring an experienced, knowledgeable lawyer is absolutely critical. Attorney Kevin J. Kulik has represented many clients accused of capital crimes, so please contact our Fort Lauderdale office to schedule a consultation. We’re happy to answer your questions and discuss your defense options.